Transcatheter valve-in-valve replacement had lasting benefits in a high-risk patient population requiring valve reintervention, registry data showed. Starting with 365 patients who got valve-in-valve transcatheter aortic valve replacement (TAVR), death took its toll in 12.1%, 22.2%, and 32.7% by 12, 24, and 36 months, respectively. Stroke and repeat valve replacement had plateaued to 5.1% and 0.6% over 24 months, rising to 6.2% and 1.9% at the 36-month mark. Valve performance was sustained the whole time, as effective orifice area had a significant boost from baseline to discharge, staying stable thereafter out to 3 years; mean gradient dropped after the procedure and similarly stayed unchanged over time, according to John Webb, MD, of St. Paul’s Hospital in Vancouver, at the Transcatheter Cardiovascular Therapeutics (TCT) conference. Among survivors, early improvements in functional status were also maintained over the 3-year period, Webb said. Most patients started off in New York Heart Association class 3 and 4 and were reclassified as class 1 and 2 after TAVR. Quality of life also was better, as shown in improved Kansas City Cardiomyopathy Questionnaire overall summary scores: 43.1 at baseline to 70.8 at 30 days (P<0.0001), and staying stable out to 3 years. The results were not influenced by surgical valve size, failure mode, approach, or residual gradient. These data are “certainly reassuring out 2-3 years” but the concern lies in anticipation of lower-risk and younger patients who are expected to start getting TAVR in the future, commented Stephan Windecker, MD, of the University of Bern in Switzerland, who was a panelist at the TCT late-breaker trial session. Source Reference: Webb JG “Late follow-up from the PARTNER aortic valve-in-valve registry” TCT 2018. The following is a report of the first case in the US of both aortic and mitral valve transcatheter replacements using transfemoral devices via the transapical approach. It is part of a series on the cardiovascular team at the Columbia Univarsity Medical Center/New York Presbyterian Hospital and the Cardiovascular Research Foundation in the Partner trial. Paradis J-M, Kodali SK, Hahn RT, George I, Daneault B, et al. This is an 85 year old man with congestive heart failure (CHF) NYHA class III/IV and hemolytic anemia. He had a previous history of S. viridans bacterial endocarditis that caused severe aortic and mitral regurgitations. Both aortic and mitral valves were replaced in 2002. A recenttTransesophageal echocardiogram (TEE) showed the left ventricular ejection fraction (LVEF) was 55%. This was related to severe mitral regurgitation caused by a flail leaflet, and its internal diameters measured 21-23.8 mm. 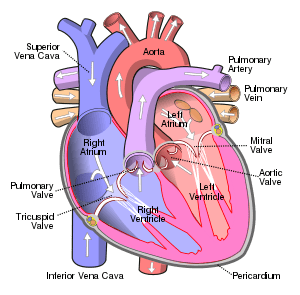 There was, in addition, severe stenosis of the Carpentir-Edwards valve in the aortic position with an aortic valve area (AVA) of only 0.9 cm, which was 24 mm internal diameter measured by 3-D TEE. The patient was felt to require reoperative aortic and mitral valve replacements, but he was deemed inoperable by 2 cardiothoracic surgeons. Therefore they decided to proceed with transapical transcatheter double valve-in-valve implantation using 2 commercially available RetroFlex 3 transfemoral devices (Edwards Lifesciences, Irvine, CA). A 26-mm Edwards SAPIEN transcatheter heart valve (THV) was placed within the Carpentier-Edwards valve in the aortic position without pre-dilatation under rapid ventricular pacing. An Edwards SAPIEN 26-mm THV was then deployed within the Hancock modiﬁed bioprosthesis in the mitral position with a 2-step inflation technique. TEE after deplonment of both valves showed excellent function. The new aortic prosthetic valve had an AVA of 2.08 cm, peak and mean gradients of 12 and 6 mm Hg, respectively, and no aortic insufficiency. The mitral valve area was 1.65 cm, and there was only trace mitral regurgitation. Transesophageal echocardiogram (TEE) demonstrating (A) color Doppler through the mitral bioprosthetic valve. 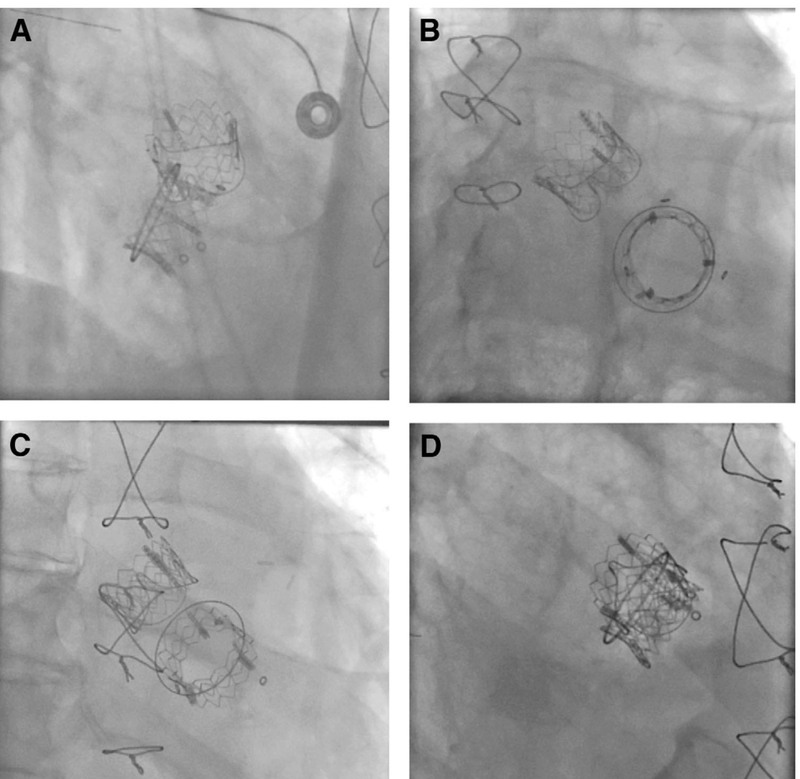 Severe intraprosthetic mitral regurgitation caused by a ﬂail leaﬂet generates an eccentric regurgitant jet (see Online Video1).The effective regurgitant oriﬁce was calculated to be 0.42cm. (B) Measurements of the internal dimensions of the mitral bioprosthesis using 3-dimensional reconstruction imaging. Figure 2.TEE Showing the Aortic Bioprosthetic Valve. Transesophageal echocardiogram (TEE) showing (A) planimetry of the oriﬁce and (B) measurement of the internal diameter of the aortic bioprosthesis. Figure 3.The 4 Prosthetic Heart Valves. Outstanding — very important topic covered for the Journal and the forthcoming Cardiovascular Series of three e-Books.